Formula E silly season: Who heads where in 2017/18? 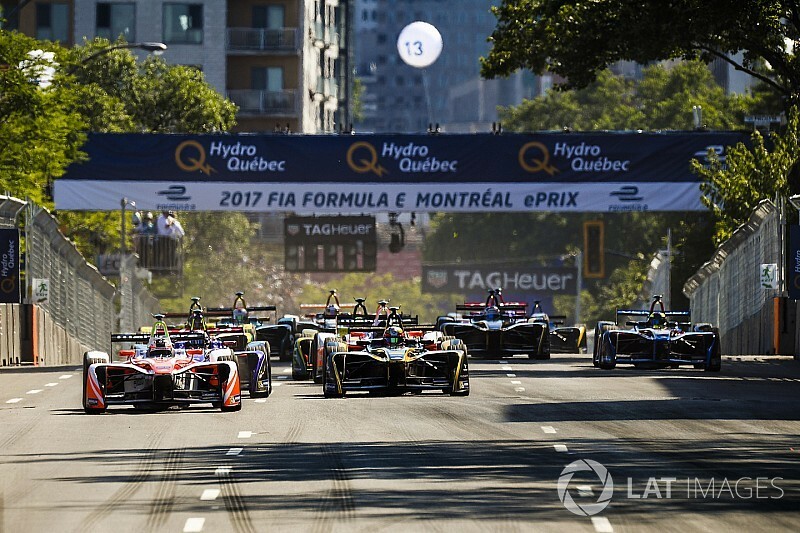 Following the conclusion of Formula E's third season last weekend in Montreal, Sam Smith takes a detailed look at the state of play in the all-electric series' driver market. 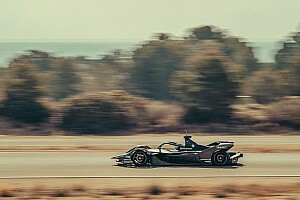 Formula E's silly season has started late compared to previous years, but as the third season of the all-electric championship came to a close last weekend, some pieces of the jigsaw look close to falling into place for season four, which kicks off at Hong Kong in December. The driver market landscape has been affected by many variables, not least the recent foundation-shifting announcements of further manufacturer involvement in the championship. It is entirely possible that Mercedes and Porsche could place their own drivers with other teams to gain some experience of the championship. As a result, a long list of drivers could eventually work their way into Formula E, but for now the series' established cast of familiar faces are largely safe for at least one more season. Casting an eye further along the line, drivers and teams could also adopt a long-term view. This is because season five is likely to see almost a complete reset of some teams' plans as Mercedes and Porsche prepare for an entry into the series in 2019/20. 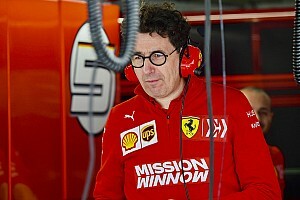 Wildcards such as Felipe Nasr, Jolyon Palmer, Pascal Wehrlein and Pierre Gasly are just some big names who could all be in the mix for seats in the fifth and sixth seasons. For now though, let's look at each of the current 10 teams in turn and assess who's likely to be driving for them in season four. Done and dusted. Sebastien Buemi and Nicolas Prost stay on with contracts until the end of 2018/19. Newly-crowned champion Lucas di Grassi has a contract for season four and options beyond that. The status of Daniel Abt is less clear but he is expected to be part of the team again for next season and an announcement to that effect should come sooner rather than later. Loic Duval is likely to be of interest to his Audi employers, but is more likely to join in season five, when the future of DTM should be much clearer. Another team likely to stick rather than twist is Mahindra, whose harmonious double act of Felix Rosenqvist and Nick Heidfeld netted third in the teams' title. Rosenqvist is believed to already have a deal for a second season, while Heidfeld is expected to put pen to paper soon, his status being described as "almost certain of staying for a third season." A potential IndyCar deal with Chip Ganassi Racing for Rosenqvist for 2019, however, would likely see the Swede concentrate on Stateside racing. However, if that was brought forward to 2018 as partner to Scott Dixon (who shares Rosenqvist’s manager, Stefan Johansson) then it would send the marketplace in to a frenzied spin. The likelihood though is that an unchanged line-up will be announced in the coming weeks. An unchanged line-up of Sam Bird and Jose Maria Lopez was thought to be nailed-on at DS Virgin, which will enter a final season with DS as its powertrain supplier in 2017/18. But, could the team's ever-present four time race winner Bird be about to fly the nest and join Jaguar as a replacement for Adam Carroll? 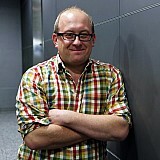 Although he has a contract for season four, a Bird-Jaguar alliance would be an attractive one for both parties, and Bird’s former engineer Patrick Coorey is currently with Jaguar, where he was Carroll’s engineer in season three. This scenario could be accelerated due to the soon-to-be-confirmed announcement that DS will partner Techeetah from season five onwards, which could mean Bird looks at a longer-term project with Jaguar. It may also see Lopez moving along with DS to be Jean-Eric Vergne’s teammate at Techeetah in 2018/19. Whatever shakes out, a ready-made replacement for DS Virgin in the shape of New York poleman Alex Lynn waits in the wings, and would be an ideal ‘plug-in and play’ solution. Jean-Eric Vergne, a partner in the SECA owned team, will stay for a final season of Renault power in 2017/18, before the Chinese team moves to a DS powertrain in season five. His teammate next season is less certain, although Stephane Sarrazin is at least a candidate. The team is known to be in contact with several other drivers, including Loic Duval. 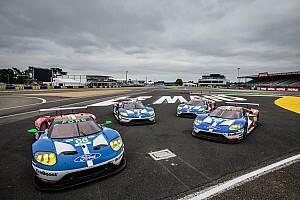 Motorsport.com has also learnt that senior members of the team are monitoring the availability of some of Porsche's WEC drivers, namely Brendon Hartley and Neel Jani. Nelson Piquet Jr and Oliver Turvey are known to have contracts with the team for season four and until recently there was little indication that anything other than a third successive season of the Anglo-Brazilian alliance would play out. However, Piquet is believed to be talking to several teams and keeping his options open after another frustrating season. 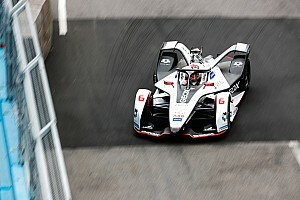 Contact is known to have taken place between the inaugural Formula E champion and Jaguar, and this option is believed to have recently accelerated. If this were to happen, it would mean an intricate extrication of the Brazilian’s contract with NextEV. Alex Lynn or Adam Carroll, the latter of whom was engineered by NextEV Team Principal Gerry Hughes to the A1GP title in 2009, could step in. But would NextEV consider an all-British line-up? Should Robin Frijns fail to find a berth at Faraday Future Dragon Racing, then NextEV could be another option for the rapid Dutchman. 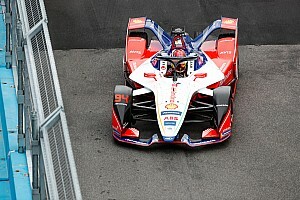 Antonio Felix da Costa will undertake a second season with the Andretti team, which will become the BMW factory effort in season five. The Portuguese driver's teammate Robin Frijns’ situation is more complex, and he looks increasingly likely to race elsewhere in 2017/18. Regarding his replacement, a lot could depend on the fluid DTM situation, which may see such as Timo Glock or Tom Blomqvist enter the equation should the series falter for 2019. The team's test and reserve driver Alexander Sims could also be a possibility after development testing privately for the team on numerous occasions. One sideline here is the role of title sponsor Amlin, which has recently been acquired by the Mitsui Sumitomo Insurance Group and is known to have tried to get Takuma Sato in to the team. That plan, however, was vetoed by Honda, who wouldn’t release the Indy 500 champion. Another push for Kamui Kobayashi's services is believed to be at least being considered. Jerome d’Ambrosio has a further season on his contract with the American team, which could see many structural off-track changes in the off-season. The continuation of the Faraday Future partnership is believed to be on thin ice, but irrespective of its status, it is unlikely to affect the team's driver choice, which rests with team chief Jay Penske. Loic Duval is highly unlikely to continue with the team, which will end a two-and-a half season stint - and should Robin Frijns be frozen out of Andretti as expected, he is believed to be high on the list as a replacement. Toyota WEC driver Mike Conway could also return to the team with which he made a cameo appearance at Paris earlier this year. The Briton like his fellow LMP1 drivers, faces an anxious wait on his 2018 programme. Maro Engel is believed to be a man in demand after some herculean performances in his rookie year. The big question now appears to be if Venturi can keep hold of the Mercedes-contracted driver. The rumoured link-up with HWA, the company that runs Mercedes' soon-to-be-terminated DTM effort, would likely ensure he remained at the Monegasque squad for season four. Tom Dillmann is known to have impressed the team with his half-season as replacement for Sarrazin and has a good chance to get a full season chance next term. But if the HWA tie-up happens immediately, expect the likes of Pascal Wehrlein and Robert Wickens to enter the running. Motorsport.com understands that Venturi will conduct a shoot-out test in the coming weeks to see who will get their seats. James Rossiter, who was in Montreal last weekend, is thought to be one of the drivers likely to take part. Additionally, Venturi also covets Formula 2 race winner Nyck de Vries, another man expected to test for the team this summer. Loic Duval and Robin Frijns may also be considered as well. Mitch Evans has been one of the unsung heroes of the season and an option for his services is highly likely to be retained by the team. On the other hand, Adam Carroll’s chances of a second year are believed to be already over despite recent stronger results. Nelson Piquet Jr and Jerome d’Ambrosio also had discussions with the team prior to their Formula E entry in 2016, but only the former is being considered. Alex Lynn could also feature as a replacement for Carroll should Sam Bird end up staying for a fourth consecutive season at DS Virgin Racing, the ex-GP2 man having tested for the team last August. A swoop for Bird seems fanciful yet possible, while a daring raid for Nick Heidfeld should not be entirely discounted. The team was talking to the experienced German for its eventually aborted season two entry plans back in 2015. Then there is Felipe Massa, who could slot into the team after a toe-in-the-water test in Sicily earlier this year. That though is dependent on him not being granted another season with Williams in F1. An outsider for Carroll’s replacement is Ho-Pin Tung, who has acted as official reserve driver during Jaguar's inaugural Formula E campaign.